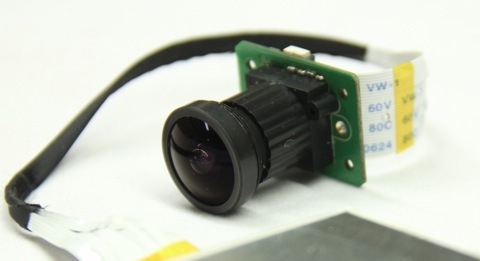 This is the new HoryzonHD FPV camera from Foxtechfpv.com. The unit I’ve got is a pre-production unit equipped with a wide angle lens, but I should receive the stock finished product any day now and when it does I can test the camera out for real. But in the meantime here is a mini review/comparison to the GoPro. I’ve wanted a camera like this for ages. 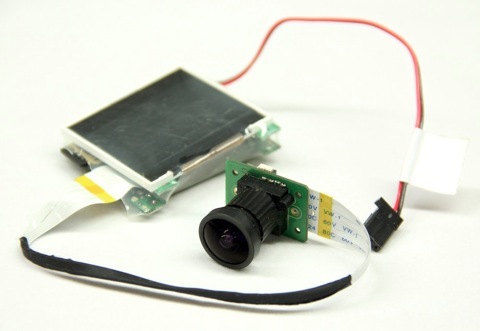 I even tried to modify my own cameras to add a long ribbon cable but it failed. So I gave up on the idea and got a GoPro when it was released instead. 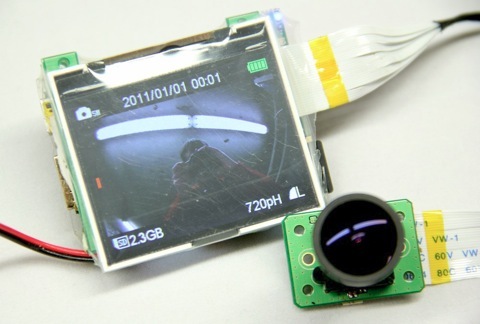 But now my dream of getting HD video from a tiny, light weight sensor can finally be realized. Finally a real challenger to the GoPro for HD FPV flying has arrived! The down sides of the GoPro HD camera is that it is not very aerodynamic. It is also relatively heavy. 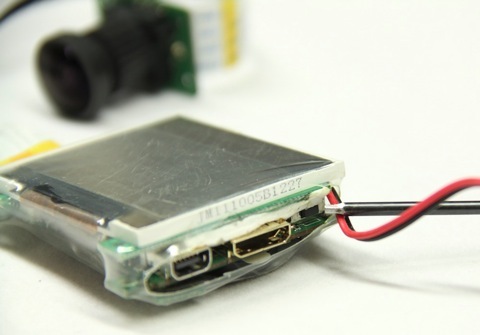 These two things makes it less than ideal to pan and tilt on a FPV platform. The HorizonHD on the other hand has a tiny, light weight sensor that is both aerodynamic and easy to pan and tilt using quite small servos. This is its real strength, but it also has some other nice features that the GoPro lacks. For one thing, it has a built in display, which is really nice and comes in handy when setting things up. The HorizonHD can also be powered via the 5V of a spare channel of the receiver, no separate power-source is needed. 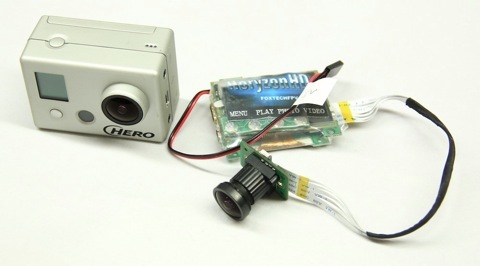 The HorizonHD also has the advantage of weighing only 40% of the naked GoPro. Weighing in at only 40 grams (with an LCD display and all) – at least I’m really impressed by that. But how does the video quality compare to the GoPro? Let’s find that out, shall we? The main unit is covered in a clear heat shrink. This pre-production unit had some scratches in the heat shrink the finished unit should be nicer. 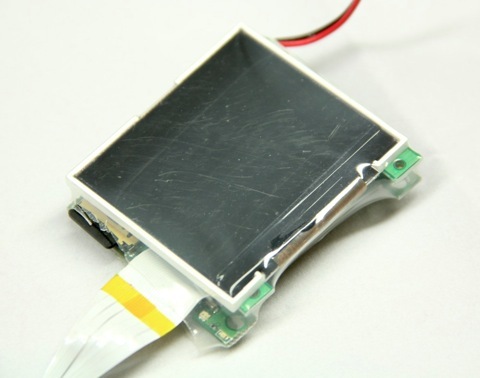 The relatively big LCD screen takes up the whole front of the camera. The back side of the main unit. Here you find the control buttons. They are quite hard to push and quite awkwardly placed as the LCD screen is on the other side. To me it would have made more sense to have them on the same side as the LCD. The side of the main unit. A mini HDMI and mini USB connector which is also used as the SD video out. This side also has the power button which for me (with my manly fingers, without nails) is really hard to push. I use a screw-driver to push it (see picture). I wish that it had been mounted in a more easily accessible place, or just further out. The screen is really nice. It displays the information needed and makes setting things up a lot easier. The sensor unit. Really, really small. I’s more or less just the sensor and a lens. 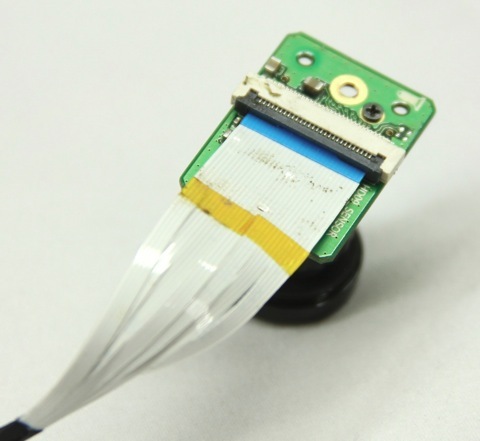 The back side of the sensor unit. I’ll add some glue to make sure that the cable wont come loose during flight, just to be on the safe side. Size comparison to the GoPro. Smaller, lighter and with a cable that lets you place the lens away from the bulky parts – great. Time to test the HoryzonHD against the GoPro Hero HD! As you can see in the video, the HoryzonHD camera in not quite as sharp in the edges as the GoPro (it might be better with the stock lens though). The raw video from the HorizonHD does not look quite as appealing as the GoPro. This has a lot to do with the fact that the GoPro camera automatically increases the contrast as well as a few other parameters directly in the camera. The HorizonHD has a bit more information in the video, which is nice when editing, but isn’t as nice when you don’t want to mess around with levels and such. To each what each prefers – this is a plus in my book, but it’s really a matter of preference. Which is to say that they are more or less identical – no winner here. I’m quite impressed with the quality. It would have been nice with even higher quality, but that is true for all cameras. The quality is pretty much equivalent to that of the GoPro, so no clear winner regarding video quality either. Considering the size and weight of the HorizonHD camera though, the quality is really quite impressive and the price of 150USD makes it even more so. I can’t wait to get the real retail version of this camera and really compare it to the GoPro. From this initial testing it seems that the GoPro might have a real rival for the first time.